After one week of hard competition it´s time for the finals. 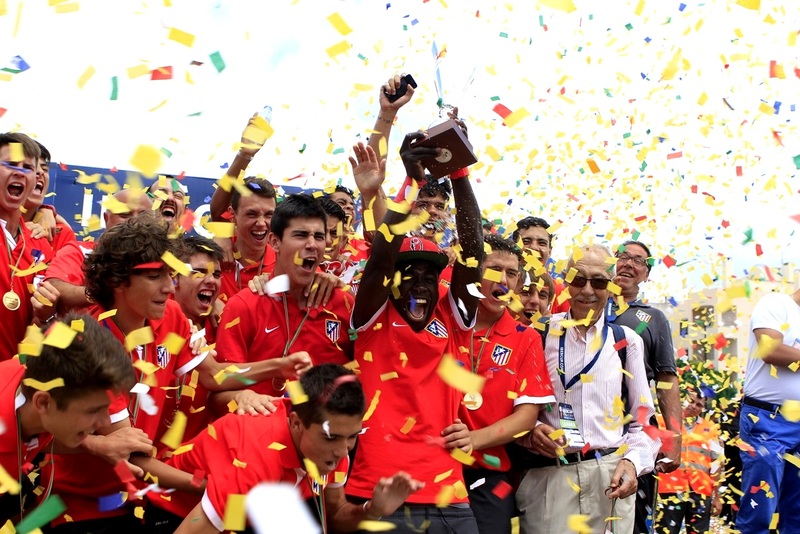 In front of 4.000 people 5 teams will become champions of IberCup Brasil. Playoff Gold Finals Boys in all categories will be played on Sunday. The Playoff Silver finals will be played on Saturday. The Breakfast on Sunday, for ALL teams with the accommodation package included at hotel. In the closing ceremony all participants will receive a prize. Closing ceremony starts after the last final ends on Sunday. Everyone needs to arrive a little bit earlier. You can join us all morning from 8:30h and watch the exciting games and celebrate the winners with all of us.